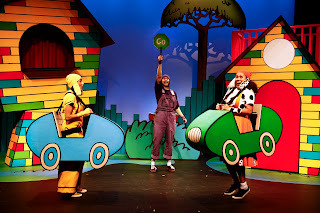 urbanbaby&toddler magazine: Performance Review: Go, Dog, Go! Performance Review: Go, Dog, Go! Go, Dog. Go! marked our third visit to a performance by the Carousel Theatre for Young People. We will certainly be going again! This particular play is an amusing musical adaptation of the contemporary kids’ classic by P.D. Eastman. The story comes to life in a burst of colour and sound that is perfect for the littles. But don’t take my word for it. Jacob and Ava, both 5 years old, share their thoughts below. We were welcomed by an attractive set in a simple and bold palette of yellow, green, red and blue. Reminiscent of the illustrations in the book by P.D. Eastman, the set immediately pulled us into the Go, Dog. Go! world. Gleeful little voices shouted, “I have that book” as they entered the theatre. Go, Dog. Go! continues to play at the Waterfront Theatre on Granville Island from February 27 to March 20, 2016. 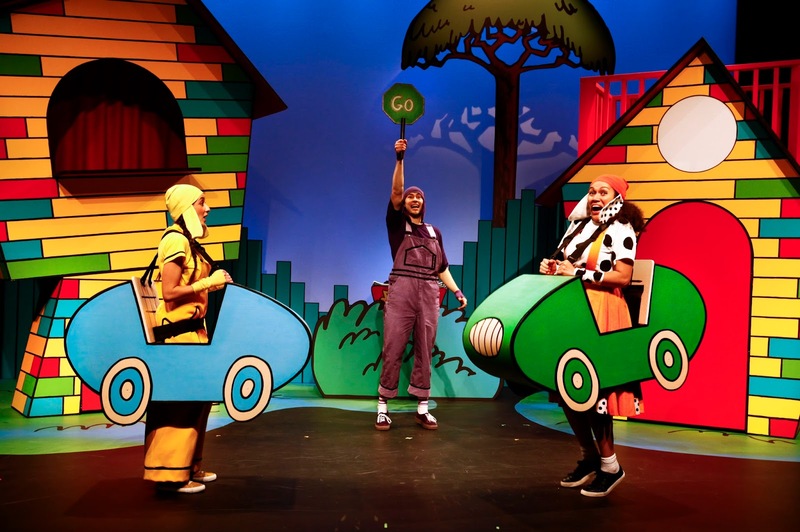 The production runs for 60 minutes and is recommended for Ages 3-8 and their families.